A video camera is inserted into one opening, which monitors and guides the surgeon who is manipulating the instruments in the other two openings. On the ends of these instruments are devices such as scissors, surgical staplers, scalpels, and sutures (stitches).As instrument moves along, the camera sends images to a video monitor. 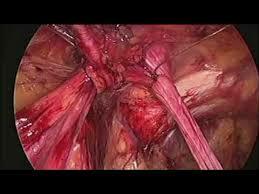 Laparoscopy permitssurgeon to clearly see inside patient’s body in real time, without open surgery. 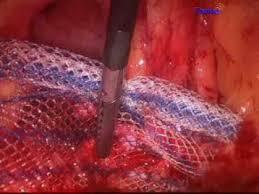 Through laparoscopy, surgeon also can obtain biopsy samples during this procedure. In this procedure, 5–10 mm diameter instruments such as graspers, scissors, clip applier can be introduced by the surgeon into the abdomen through trocars which is the hollow tubes with a seal to keep the CO2 from leaking. 1. Once the patient is unconscious through injecting general anaesthesia, the surgeon makes a small cut near or at the navel and inserts a thin, hollow tube called a trocar. The tube extends from inside the abdomen to the outside. 2. Next step is to inject Carbon dioxide gas into the abdomen to expand it and allow the doctor more room to view the organs. 3. After that, the laparoscope, a medical instrument with a high-intensity light and very small camera, is inserted into the abdomen through the trocar. The surgeon is able to see a large image from the camera on a TV screen in the operation theatre. 4. Then other instruments to perform operation are inserted into small openings. The surgeon manipulates these to perform the procedure, whether they have to remove an organ such as gall bladder, taking a sample of tissue, or repairing an organ. 5. When the surgery is completed, the surgeon removes all the instruments. 6. After that the incisions are stitched closed, and bandages are placed over them. For tiny incisions, there is no need of stitching. Surgeons only wrap with small strips of sterile tape. When laparoscopy is used to diagnose a condition, the procedure usually takes 30-60 minutes. It takes more time if the surgeon treats a medical condition, depending on the type of surgery being performed. For gall bladder removal through laparoscopy surgery procedure, instead of a minimum 20 cm incision as in traditional (open) cholecystectomy, four incisions of 0.5–1.0 cm isenough. Since the gall bladder is similar to a small balloon that stores and releases bile, it can usually be removed from the abdomen by suctioning out the bile and then removing the deflated gallbladder through the 1 cm incision at the patient's navel. 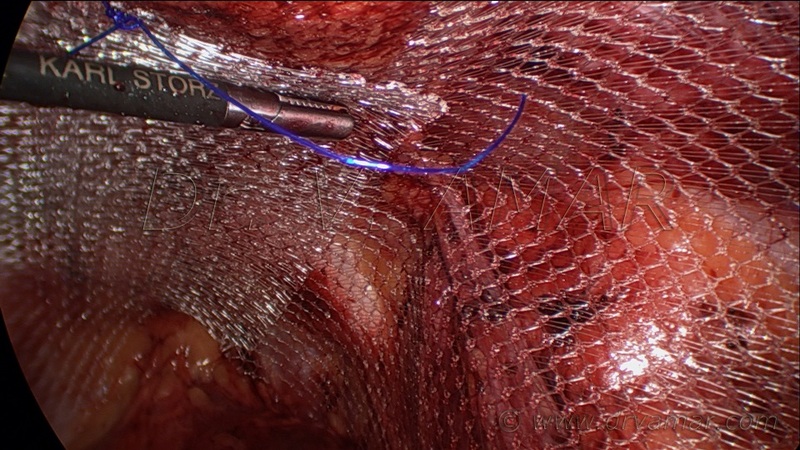 There are some advanced laparoscopic procedures in which the size of the specimen being removed is too large to pull out through a trocar site therefore an incision larger than 10mm is made. The most common of these procedures are elimination of all or part of the colon (colectomy), or removal of the kidney (nephrectomy). Some surgeons perform these procedures completely laparoscopically, making the larger incision toward the end of the procedure for specimen removal, or, in the case of a colectomy, to also prepare the remaining healthy bowel to be reconnected (create an anastomosis). Other surgeons identify that since they will have to make a biggercut for specimen removal, they might use this incision to have their hand in the operative field during the procedure to aid as a retractor, dissector, and to be able to feel differing tissue densities (palpate), as they would in open surgery. This procedure is known as hand-assist laparoscopy. Since they will still be working with scopes and other laparoscopic instruments, CO2 has to be maintained in the patient's abdomen, so a device known as a hand access port must be used. Surgeons who use this hand-assist technique feel that it decreases operative time considerablyas compared to the straight laparoscopic approach. It also supports and offers more options to tackle unpredicted adverse events such as uncontrolled bleeding that may require for creating a much larger incision and converting to traditional surgical procedure. After completing laparoscopy, patient is comfortable and relieved from pain.Patient maybe mystified as hehas to recover from the effects of the anaesthetic. It has been found that some people feel sick or vomit. These are normal side effects of the anaesthetic and normally disappears fast. In the recovery period, patient is under supervision of doctors and para medical staff. Nurse monitors the patient for a few hours until the patient is fully awake and able to eat, drink and pass urine.Before patient is discharged fromhospital, some important instructions about how to take care of wounds and when to come for a follow-up are given. For a few days after the procedure, patient feel some pain and uneasiness where the incisions were made, and may also have a sore throat if a breathing tube was used. Generally, doctor prescribes painkiller medication to lessen the pain. But all these symptoms are normal in laparoscopic surgery and patients should not worry about these medical conditions as symptoms disappears in a day or two when body absorbs the remaining gas. Basically, in laparoscopic surgery, all the procedures were initially developed as open surgery methods. Since the laparoscopic surgery is continuously evolving, surgeons use new instruments to perform operations.